Thank you for purchasing a Seiko GPS solar watch. Official time zones around the world are subject to change depending on government policy of each country or region. 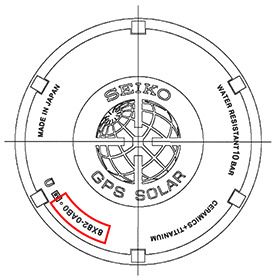 Locate the caliber code and the case code by referring to the markings on the case back of your watch. 1.Select the time zone appropriate for the current time in the target region by manual time zone setting. 2.Next, adjust the time by manual time adjustment. 3.To continue to use the watch in the same time zone, correct time can always be displayed by automatic time adjustment or manual time adjustment, unless the time zone setting is changed. 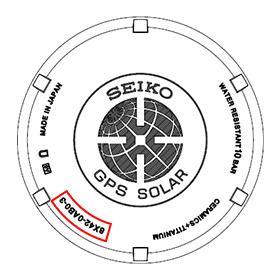 4.When moving from a region where the official time zone is changed to a region of another time zone, if you adjust the time zone of the watch to the second region, when you return to the original region, carry out the same operation from 1 to 3 above to display the correct time in the original region.